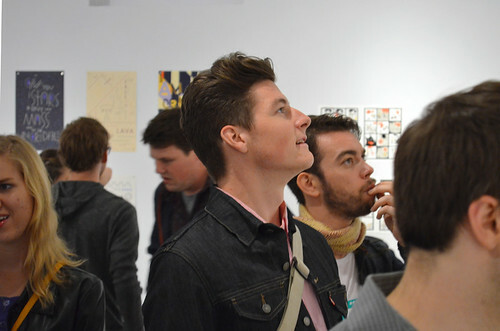 Thank you to everyone who came out to the Nights & Weekends opening reception! It was an awesome event filled with inspiring, personal, larger-than-life projects. There was a lot of work that went into the making of this show, so it was wonderful to finally open the doors and celebrate with all of you! 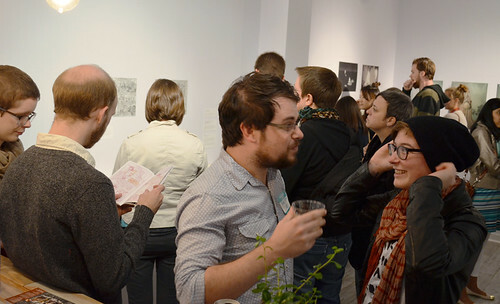 Compared with many of our past exhibitions, Nights & Weekends was definitely an intimate affair. 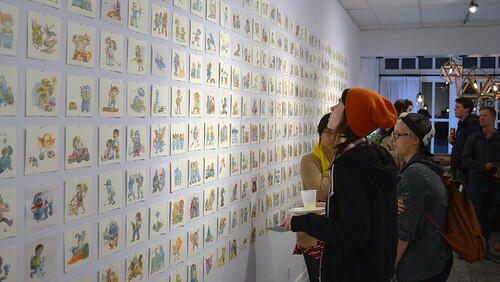 With so many in-depth projects, the crowd moved slowly through the gallery, flipping through artist books and zines, reading about the history and process behind each project, and pouring over the details of the 400+ pieces on display. 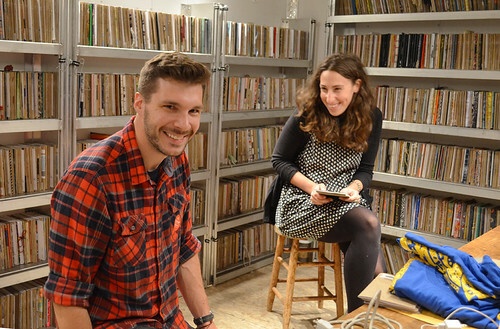 We want to give a special shout-out to the Brooklyn-based Sketchbook Project! They stopped by Light Grey Art Lab as part of their 1703 Miles and Back Tour, and we were honored to host them! 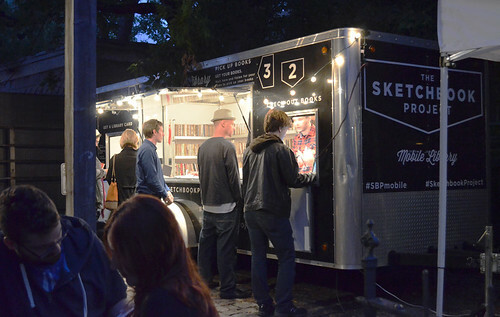 Their traveling sketchbook library was parked outside the gallery all day, where visitors could check out sketchbooks from thousands of different artists. Artists treat sketchbooks as amazingly personal and (oftentimes) secret places to work, think and create, so it's an incredible experience to have to many sketchbooks at your fingertips! Again, thank you to all the artists who participated in the show, to the sketchbook Project for sharing thier library with us, and to all of you for making it out to celebrate with us! You can see more pictures in our Nights & Weekends flickr set! And as always, you can see all the work from Nights & Weekends exhibition on the Light Grey Art Lab website and purchases prints, originals, zines and more from the Light Grey Art Lab shop!